Kia Ora! Discover the real Far North! 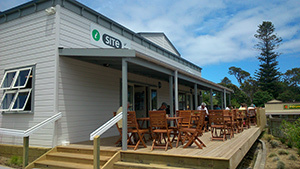 The Hokianga i-SITE at Opononi is a one stop shop for enquiries and bookings for accommodation, sightseeing and activities and travel. The friendly information centre staff can also make bookings for the rest of your journey throughout New Zealand and are open 7 days a week every day of the year except Christmas day. Being passionate about the Hokianga we can provide impartial information about attractions, accommodation and sightseeing in the Far North. We will take the time to listen to you and provide expert advice on all options available, suited to your budget and aspirations. Whether it is on-line, on the phone or once you arrive in the Far North - we have your choices covered. 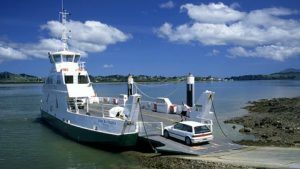 Tourist transport - Bus travel, trains and flights to and from most New Zealand locations as well as ferry (sea) travel from Wellington to Picton and return. Rental cars & Campervan hire departing from any of the main airports throughout New Zealand. Accommodation in the Far North - Motels, Hotels, Lodges, Bed and Breakfasts, Camping Grounds/Holiday Parks, Farm and Home Stays, Backpackers and Hostels and Resorts. Sightseeing - Tours and activities such as the world famous Hole in the Rock Boat Cruise, Deep Sea Marlin fishing and Snapper fishing trips, Scenic Flights, Sky Diving, Hiking - the list is endless. General advice - wondering what options to put in your travel itinerary or what amount of time is required, what to wear, what to expect? We can help. As well as local knowlege we offer a booking service, provide stamps, phone cards, maps and general information on all areas in New Zealand. We are agents for Interislander, Bluebridge, Tranzrail, Tranzscenic, Intercity and Northliner. Public internet and email services are available. To make an enquiry or to book now, please contact us using the contact detail below.